I'd like to share with you a staircase painting idea that has really talked to me. I love how simple and straight forward it is and I guess it's not a rather difficult project to pull through. It would look totally awesome inside a summer house with navy influences and a view to the sea (I keep dreaming, if that's ok). P.s. 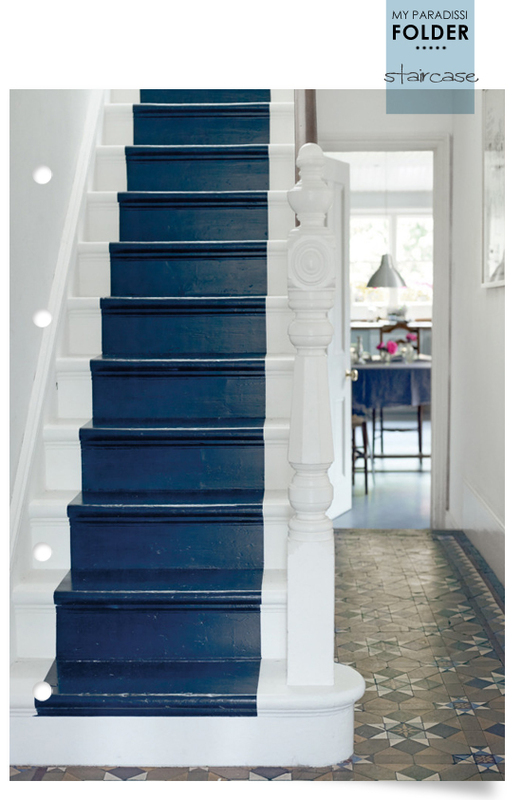 Another clever idea to try on your summer house staircase. Image by Polly Wreford via Homelife.